We are officially into the peek of summer and exploring our garden almost daily for what we can find, explore, or feast on! 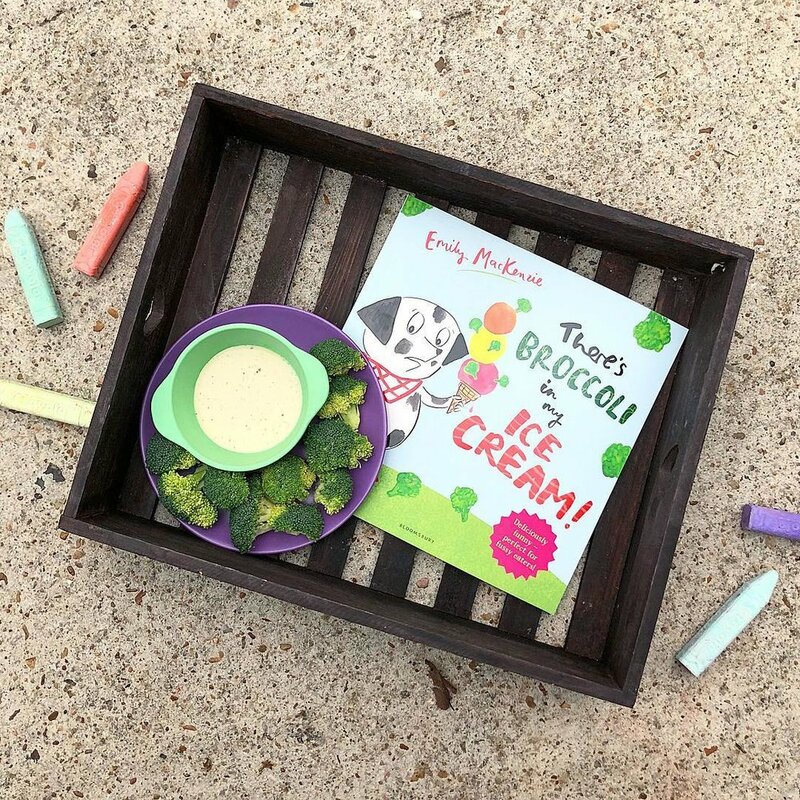 I hope you will find the ideas shared below on how we are learning to like vegetables and enjoying zucchini in particular (as part of this month's Veggie Buds Club) both fun and helpful! I admit, sometimes I go out to the garden and am underwhelmed. A few beans, a squash or two, with a couple handfuls of baby tomatoes. It isn't this grand, magnificent yield that will earn me a spot at the local Farmer's Market. But is that really the goal? Getting my girls engaged and excited about fresh vegetables from the moment the seed hits the soil through the time they are offered at the table. There is something about gardening that is both disconnected from the table and yet beautifully tees up to a meal time. I love that even for foods my girls are learning to like, they get to LEARN to like them in completely experiential ways without "eating" ever even being mentioned. These small amounts make it less intimidating and more manageable as well by beckoning the girls to come out and pick what few items they can find each day. This past month, we made a chart where we could keep track of how many of each vegetable we grow. I have intended to do this each season, but now is as good of a time as any to get started! Especially since my oldest is more than able to now help count the crops, make hash marks, and add them up in sets of five so we can see our running totals. One afternoon (after we had been away and not picked in a few days), she collected 26 cherry tomatoes. It still didn't necessarily look like a lot (in my gluttonous gardener eyes), but it was A LOT to her little hands and for her little mind to count and keep track of on our chart. Better yet, this was a simple way of doing nutrition education at home that integrated so many age-appropriate activities without ever speaking to the actual "nutrition" of the foods at hand. That's key with little kids. They don't need to hear the word lycopene nor about its health implications before they enter kindergarten. They don't need to know how much protein are in the beans we are growing nor stress about if they're getting enough at a given meal. They don't need to be convinced to eat fresh grown cucumbers over cheddar crackers at snack time. Nope. What they need is to touch, experience, engage, count, and play with the very foods we want them to find joy in so that ultimately, later in life, they will appreciate them to be "healthy," "everyday," and "good for them" choices. 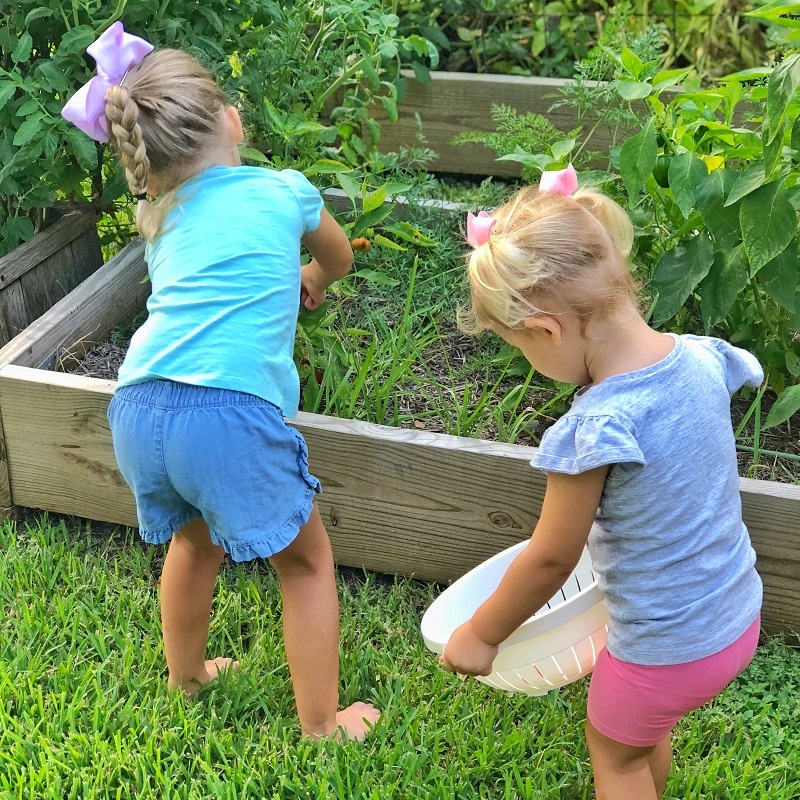 My goal is to continue to offer them the experiences that allow them to do this through our garden without really ever saying a word about "health" or "nutrition." This is the kind of pressure-free exposure and true nutrition education we are having fun with from this spring and summer. I hope your family can enjoy the same through SMALL yields and yet BIG wins. Parents are constantly asking about how to get kids to eat more vegetables, especially in safe forms for sharing between older and younger siblings (who may still be learning to crunch raw veggies). This is a hard question for me to answer not so much because I am without ideas, but rather because the root of HOW to get our kids to eat more vegetables rarely rests in simply needing more ideas. Instead, we as parents and families as a whole need to continue to shift our mindset from "HOW to GET our kids to eat vegetables" to exposing them to veggies in as many ways as we can in hopes that they find a few they genuinely WANT to eat (on their own). Do you see the mindset shift there between "getting them to eat" and "finding ways they want to eat" vegetables? That's why this month I want us to get out of our common rut of offering only raw versus roasted vegetables and instead share how many options there are for exposing our kids to even a single vegetable like zucchini! Zucchini is by far one of the most versatile veggies out there! With it, we can find a variety of ways to expose and safely offer to even the youngest of eaters. Here are several ways to help your kids learn to like zucchini in the coming month! Even just making this list compels me to go check the garden to see if we have any zucchini ready to make something with! There are so many options, i.e. reasons we don't need to be in rut with how to offer this seasonal veggie! We have officially made it one year into cultivating our own home garden, so I am finally getting on the ball with sharing more about our journey up to this point. 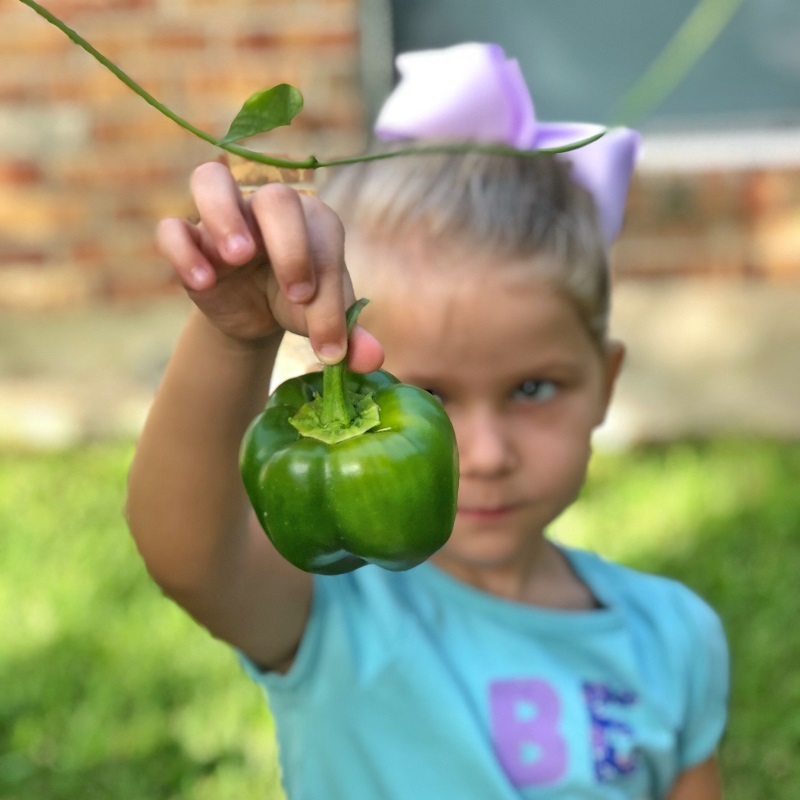 Many of you have asked for details about our experiences gardening with kids in our backyard garden, so I will be sharing monthly updates here in hopes to further inspire other families to help their children to learn to like fresh foods from the ground up! Be it a vertical garden indoors, a small backyard garden on the patio, or simply planting a single seed in a disposable cup on the kitchen counter, I hope that sharing our very amateur-level entry into at-home gardening with kids will remind anyone on the fence about it that you too can garden. You just have to start somewhere! 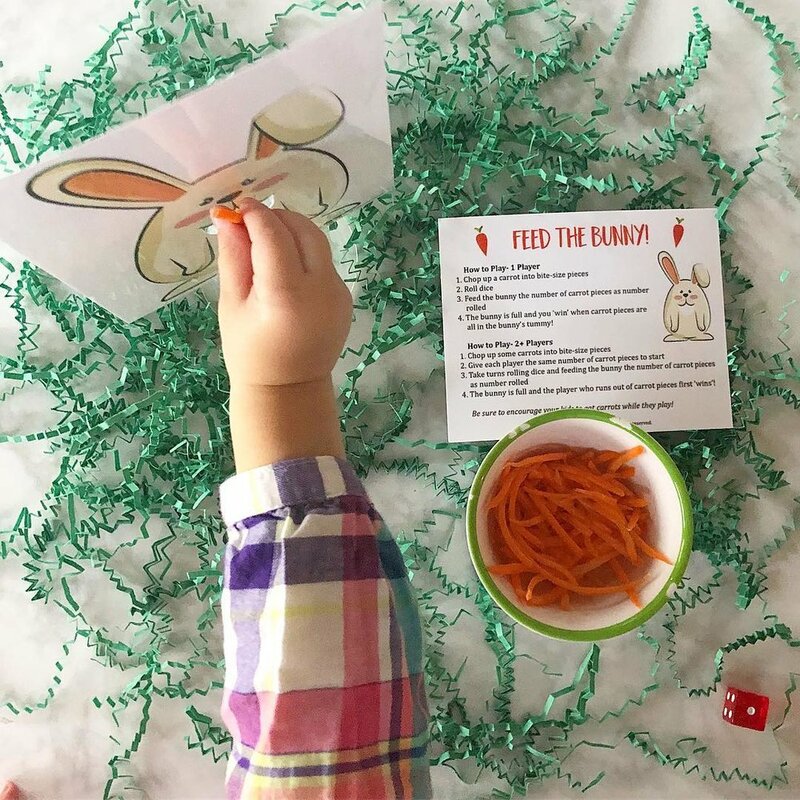 Below is a recap of our journey thus far, as well as other information I will be sharing each month to give further inspiration for how to include veggies in your family's daily life! This is far from a complete recap, but below are some of the progress highlights from the past year with our backyard garden. Total seasonal yield: 18 large and 106 cherry tomatoes, 12 cucumbers, one teeny carrot, two strawberries, one radish, eleven okra, 32 green beans, 2 jalapenos, 29 extra long green beans, and 16 sugar snap peas. Items we would/would probably opt to do next year: the extra long green bean variety we grew we didn't know how to cook and thus didn't eat/enjoy to its fullest potential. We need to learn to like okra more, or else plant less as it was not our favorite crop. The squash and zucchini never took, so we will try those again with healthier starter plants hopefully. Our bell peppers also never produced, so we will need to figure out why and try again in upcoming years. We need to figure out how to help the carrots and radishes thrive better as well, as each produced a nominal crop. Planted our first set of Fall seeds and starter plants. Crops included: kale, romaine, red leaf lettuce, rainbow chard, Brussels sprouts, cauliflower, broccoli, and sweet potatoes. Total seasonal yield: endless kale (three varieties), romaine, and red leaf lettuce, four batches of rainbow chard, 11 Brussels sprouts, one small head of purple cauliflower, and three heads broccoli. Items we would/would probably opt to do next year: we loved having so many different greens and how we didn't have to buy lettuce, kale, or salad greens for several months. The Brussels Sprouts looked promising all season and yet produced very few viable sprouts to snap off and actually consume. We will need to learn how to improve each stalks yield in coming years. The cauliflower rotted quickly, so we will need to either eat when it is still small or figure out how to keep it thriving to a larger size next year. Lesson learned on the broccoli is how it can continue to produce florets even after the main broccoli head has been removed (to eat). We likely could have gotten more yield from this had we known. Planted our second Spring's worth of seeds and starter plants. Crops include: zucchini, yellow squash, cucumbers, tomatoes, carrots, celery, bell peppers, jalapeno peppers, carrots, three green bean varietals. We invested around $75 total for all of the seeds and starter plants we needed to start a new season. No new soil was needed from the past year, as we had added homemade compost prior to planting/preparing the garden for Spring. More Updates and Resources to Come! As part of an upcoming collaboration and project, I will be sharing how-to guides for backyard gardening with kids. To stay up to date on when updates and resources are available, subscribe here! Did you know one of the best steps you can take to getting your kids to TASTE a new food is breaking through the barrier to getting them to TOUCH it? 1. Plant your own radish. Use your growing kit from this month's Veggie Buds Club, or go to a local gardening store for some seeds and soil. Even if you don't have an at home garden, you can plant radishes in their own small pot for each child. The exposure to the vegetable before it is even grown or in edible form can make for effective nutrition education away from the table! 2. Let your child clean the radish. Whether you grow your own radish, pick some up at the farmer's market, or grab some at the grocery store, ask your children to be in charge of washing them. As a vegetable that grows underground, you can use this as an excuse to get your kids hands on with washing the dirt away. This helps kids to become comfortable with touching it when there is no expectation that they should too eat it. 3. Consider a visual assessment. Away from a meal time, consider cutting up a few different radish varieties as part of an experiment. Ask your child(ren) to pick up each variety and then either draw pictures or explain the similarities and differences of each (colors, shapes, smells, touch, etc.). Once they have handled and engaged with each, ask your child(ren) questions that probe interest and potentially a desire to take a bite of each to further compare and contrast differences, like: "Which type of radish do you think is the prettiest? Which one do you think tastes the best? Do you think they all taste the same?" 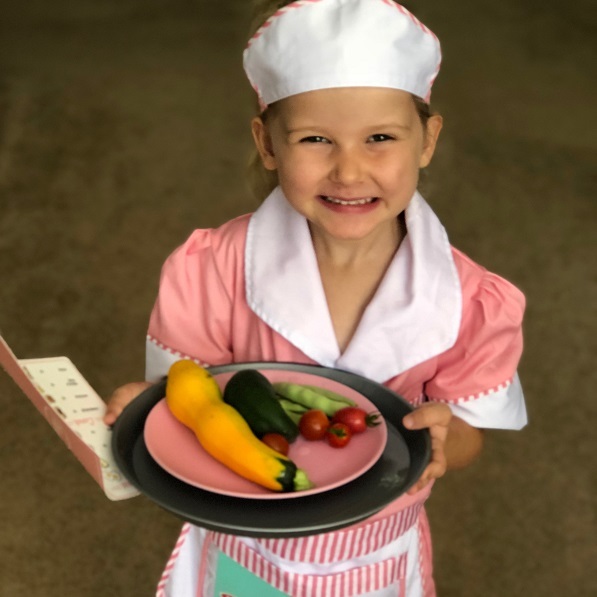 Having this kind of hands on, pressure-free exposure away from offering new foods (like radish) at meal times can be a great way to get kids learning to like new vegetables before they've ever had it on their plate! The girls continue to enjoy picking the tomatoes best. Each girl will put the tomato in her mouth but seems apprehensive towards biting down and how it "bursts" in their mouths. The most fun the girls have had this past month was in pretend play having a "restaurant" with all of the produce we picked that day. They washed it (in this DIY water table), then prepared pretend "recipes" from the ingredients. They dressed up and served these meals as a chef and waitress for hours of creative play. While it didn't lead them to eating any of the produce then and there, it got them comfortable and familiar with it before we as a family used the ingredients in actual meals!